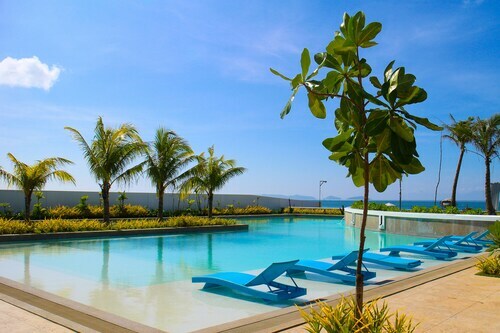 Expedia can help you save heaps with Calbayog travel packages. With all that extra money in the bank, you might even like to book a few extra nights. Our comprehensive database allows you to research more than 321,000 properties worldwide and 400 partner airlines. With such a broad range of options, organizing your dream vacation will be a cinch! Unsure about your booking? There are no extra charges from us if you change your mind for almost any reservation. Preparing for your trip to Calbayog? Keen for some advice about what to do and see when you arrive? That's where we can assist! In the mood for some shore fishing? It's one of the leading things to do in the wider region and the ideal excuse to head outdoors. Still got time to spare? If you're really looking to create some unforgettable vacation memories, stick beach combing on your agenda as well. There are currently no properties in Calbayog listed on Expedia. However, if you don't mind being a bit out of town, you could try the GV Hotel Catarman (Marcos Street) in Catarman, 17 miles (27 km) away. Pass security, board the aircraft, stow your bags in the overhead locker and get comfortable for the journey! Your trip to Calbayog isn't far off now. After the wheels touch the ground at Calbayog Airport (CYP), you'll be 9 miles (14 km) from all the main streets. Situated near the airport, this hotel is within 2 mi (3 km) of St. Peter and Paul Cathedral, Cardinal Julio Rosales Plaza, and Samar Archaeological Museum. Nijaga Park is 1.9 mi (3 km) away. Situated in Calbayog, this hotel is within a 5-minute walk of Samar Archaeological Museum and St. Peter and Paul Cathedral. Cardinal Julio Rosales Plaza and Nijaga Park are also within 10 minutes. 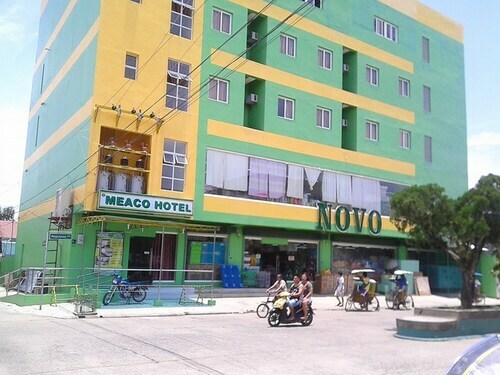 Situated in Catarman, this hotel is within a 10-minute walk of Cathedral of Our Lady of the Annunciation and Northern Samar Provincial Hospital. University of Eastern Philippines is 2.5 mi (4.1 km) away. Situated in Dalupuri - San Antonio Island, this cottage is 1.7 mi (2.8 km) from San Antonio (Dalupiri Island) Seaport and 1.9 mi (3 km) from San Antonio Municipal Plaza. This beachfront historic vacation home is located in the city center, close to San Antonio (Dalupiri Island) Seaport, San Antonio Municipal Plaza, and San Isidro Sea Port. Area attractions also include San Isidro Ferry Port. Situated in Dalupuri - San Antonio Island, this vacation home is close to San Antonio (Dalupiri Island) Seaport, San Antonio Municipal Plaza, and San Isidro Sea Port. Area attractions also include San Isidro Ferry Port. Thu., 29 Aug. - Sun., 6 Oct.